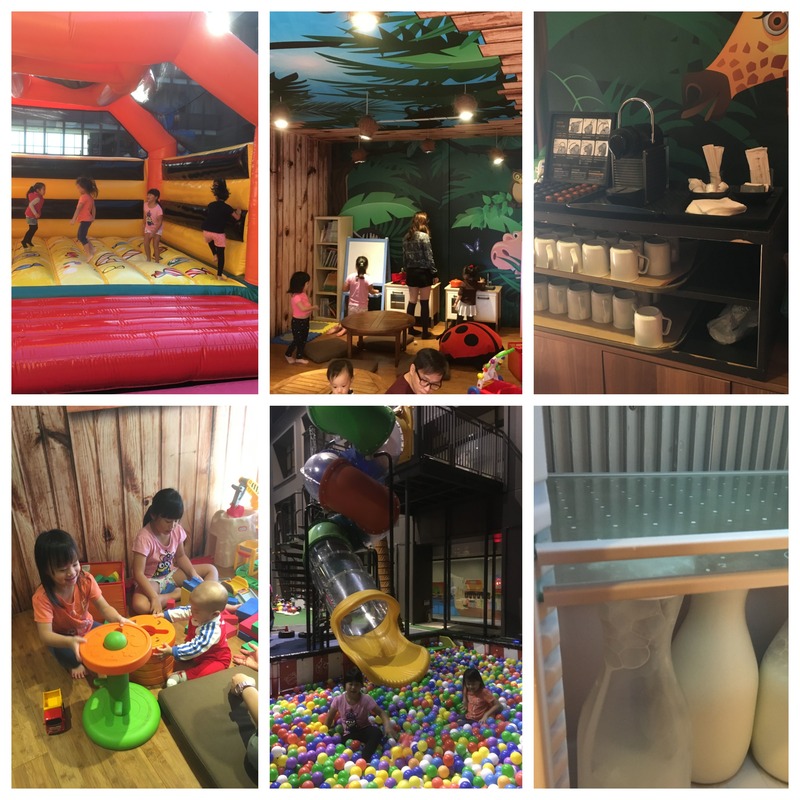 Based on our research, there are lots of kids friendly hotels and minsu (commoner’s home) in Yilan. We decided on the Silk’s Place Hotel as they still had room even though we booked late. 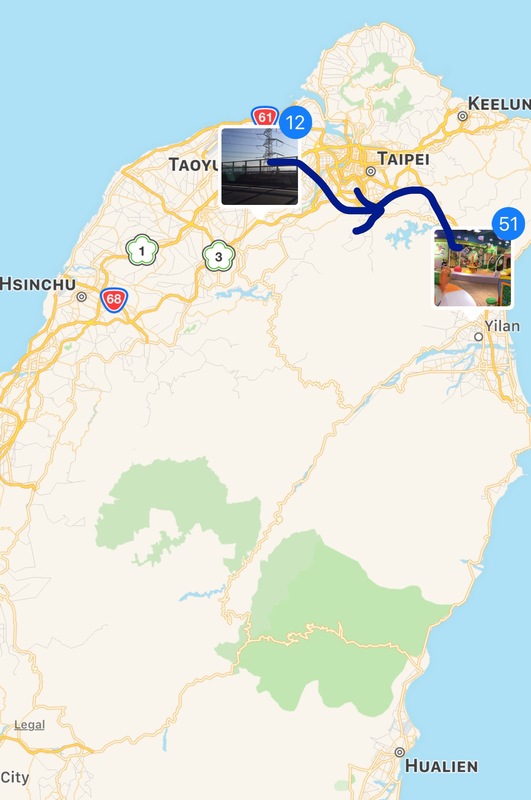 So from Taoyuan International Airport, we went straight to Yilan, a 3-hour drive away. This is the third time we are traveling with Lai, our local driver. He was actually fully booked but he made special arrangements so he could provide his service to us personally for part of the trip. On the days that he could not make it, he would recommend us another driver instead. So next time we had better book earlier. A really nice and chatty guy who’s willing to go the extra mile to provide his services and leave us with memorable experiences. We didn’t try to explore other modes of transportation although we might reach our destination faster, all for the convenience of travelling with kids and baby and even elderly. And also, Lai doubled up as our tour guide, helping us plan our route and itinerary based on our interest and call up different attractions to make enquiries before we go. We dropped by this stall near the airport for a quick lunch before heading up to Yilan. The Yummy first lunch in Taiwan! Thanks to our driver’s recommendation. No baby chair here, so have to eat like this. This place, seriously, we should not even have planned to go anywhere else in Yilan. We could laze around here all day and the kids were more than happy. There were 2 levels in the hotel building where kids were allowed to drive their vehicles around. Level 8 and 9. Try to get level 8 if possible. 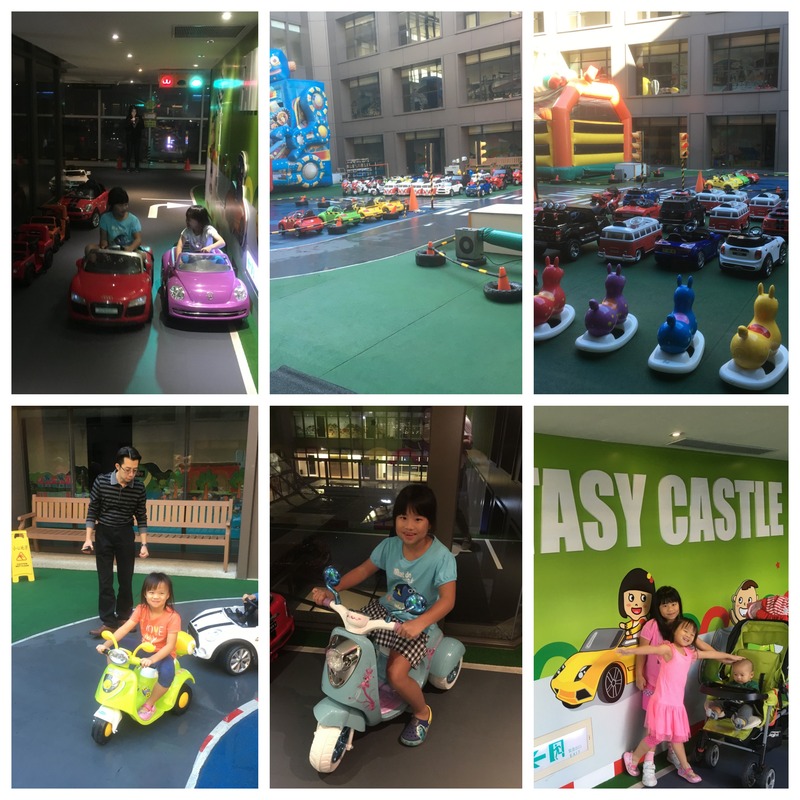 The outdoor playground is on level 8 and there’s also an indoor lounge on the same level. After check in, you may proceed to level 8 to register for your personal vehicle where the staff there will tag your chosen vehicle with your room number and pass you the key so that only you can drive it and you don’t have to worry leaving the vehicle outside your room. So on our first 2 days we only stayed indoors due to the non-stop rain. Luckily they also had this cosy lounge for rainy days. There is even a theatre screening movies for the kids! We didn’t watch any movie though, the kids just needed their YouTube and my iPad, duh. The room was a dream. So spacious they had space for a tent this big. The girls camped here for 2 nights and also tried sharing our bed which was also spacious enough for co sleeping. Bub had his own cot albeit not a very comfortable one. The mattress was not thick and soft enough but it was spacious as well. 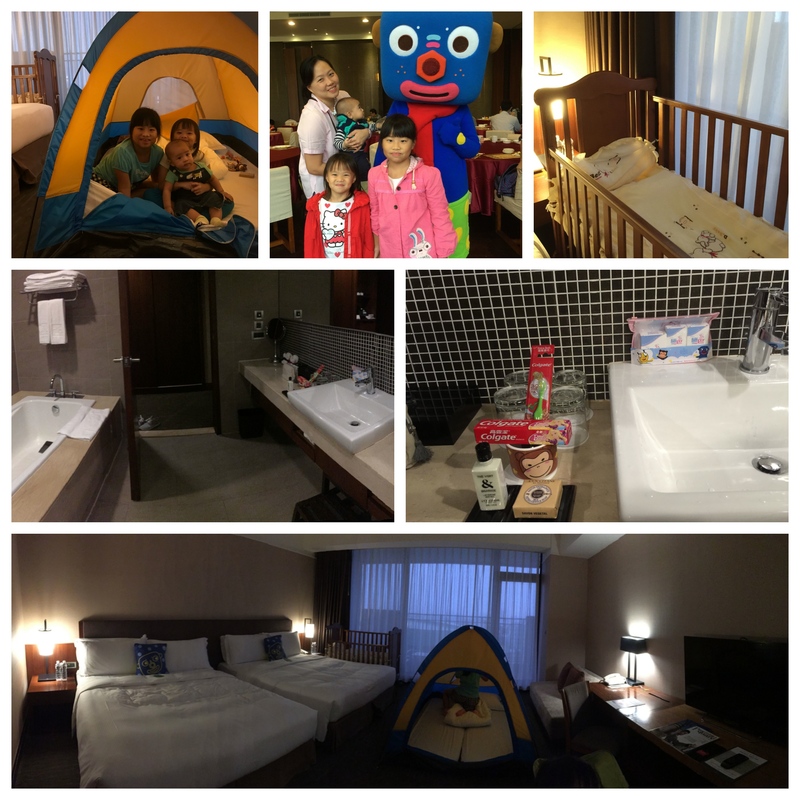 The room, well equipped with kiddy toiletries and even small stool and bath tub! As for toiletries, the kids got a new set of sebamed shower gel, shampoo and lotion everyday, kids Colgate and tooth brushes. Toiletries for adults were from loccitane. Nice touch. Parden the dark pictures as there was not much light by the time we reached Yilan. On winter days, the sky darkens at 5pm so usually our sightseeing ends by 5pm. Bouncy castle, bouncy slide, tunnel slide, driving area, slides and ballpit plus an indoor resting area. Which kid wants to do any sightseeing in Yilan? We were lucky as it finally stopped raining here on the 3rd day. The staff were busy early in the morning to set up everything . By the time we finished our breakfast, play arena was ready! And did the kids went wild! Free to pick any vehicle to drive around, taking care to look out for pedestrians and traffic light, bounced at bouncy castle, slide down the bouncy slide and dived in the ball pit. Parents and baby? Chill inside the hut for some coffee and fresh milk and small toys. Holiday at its best. We went to the pool on 1 of the night. It was past their bedtime but we had to go since we are almost leaving for another hotel soon. So we came, at 9.30pm. The kids were starting to feel sleepy but woke up instantly upon hearing swimming time. It was chilling outside when we tried to swim in the indoor part of the pool which links to the outdoor pool. The kids were freezing so we moved back indoors to the heated jacuzzi instead. They had milk bath and jacuzzi and shower treatment here. So relaxing! We showered here at the clubhouse and they even had spinner for you to dry your swim suits! Breakfast was included in our booking and the spread of food was great and suits any kid and adult. There was plain porridge with condiments to go with, bread, cereals, salads and a fresh juice counter! They even included drinks like bottled apple juice and yakult! Our hotel is linked to the Lunar Plaza Mall so shopping is very convenient, even when it’s raining! We also had our dinners there and had more kids entertainment! Hotpots and ramen for dinner on the first 2 nights. Also played at the arcade here. Didn’t go in this kiddy playground though. This arcade also has a section for adults for slot machines using tokens! Coming from a bustling city of Singapore to this rural town of Yilan, one can instantly feel the difference. There aren’t many tall buildings cluttering around, just lots of space and fresh air. The attractions are simple, non sophisticated and does not come with expensive entrance fees. There’s also not a lot of shopping areas, restaurants and cafes here. Nice place to relax the mind if you are stressed up by the hustle and bustle of city and work life. It was raining non stop for the first 2 days so Lai planned some indoor activities for us on these days. We went to the Brick factory, crayon factory and chocolate making factory. The brick art museum opened in Yilan just recently. There was some crowd control for visitors to go in and view the exhibits hence we had to queue for a while to get the tickets to go in. While waiting, the kids could sit at the benches to start building their lego or take pictures with the lego fixtures outside the building. But it was raining that day so everyone squeezed indoors to take cover. After viewing the exhibits, we passed by a small souvenir shop at the exit and then proceeded to the activity area for some hands-on crafts. The only problem was that the instructor speaks in mandarin only but it’s not to hard to follow the steps since they will also be demonstrating what to do. You may also redeem 1 free drink with the entrance ticket. It was a pity that it was raining that day. We couldn’t go outdoor to take pictures or just wait for our turn. Everyone had to squeeze under the shelter and wait so the whole experience was discounted by a little. At the lucky art crayon factory, the kids learned how to assemble their own market pens, made some crayons and did face painting. It was quite crowded when we went but luckily we didn’t have to wait long and the kids were quite excited going from stations to stations to DIY their art materials and even had to use a hammer to fix up the marker pens. At the last station they get to choose a tattoo to paint on. Simple fun but just right for kids this age. We DIY-ed our Christmas themed chocolates here. But, frankly, we could easily do this activity at home too. We were given some chocolate chips to melt, some toppings like marshmallows, nuts and candy to add inside our chocolate after we pour them into the chocolate mound. Then we waited a while for the chocolate to harden and bring them back. There was another workshop for making other types of chocolate but we didn’t attend that. Then we bought some interesting chocolates and candies back from the souvenir shop. The workshops require prior booking so make sure you call before coming . And finally, some activities for us. There are many farms to visit in Taiwan, as agriculture is a big industry there. Our driver brought us to this one called the Jinpu orchard. Kids were like ‘huh again?’ Can we don’t go? But we dragged them down anyway. They ended up having fun cutting down the fruits and forgot about the whining. The farm owner let us apply some essential oil insect repellent. I brought along our own especially for Bub since we planned to visit the farms and there’s going to be so much insects around. We ended up getting all bitten anyway, at least for me and my hubby. The kids didn’t suffer as bad. I suspect it was because I applied for kids the insect repellent with 10% deet instead of just the natural oil insect repellent offered by the farmers. So if you are planning some farm visits, do bring along your trusty insect repellents, best to be odourless or natural oils type so as not to accidentally spray harmful chemicals onto the crops. Mainly for sightseeing, this place is really nice and peaceful and makes a good photo spot. Would have been nicer if it was not as sunny at the time we were there. You could hang around here for longer period and enjoy the peacefulness here. One of the top destinations to visit according to TripAdvisor, we dropped by here for some quick photos before the sun goes down for the day. The art display along both sides of the road leading to the Yilan station were really photogenic and cheerful. Everyone here was trying to snap some wacky shots and you can hear lots of giggling and laughter around. The kids were kind of tired and cranky when we reached so were not so cooperative to take pictures. Such a pity. But no choice, they were napping halfway in the car when we dragged them down for pictures. Finally, no one comes to Taiwan without going to at least 1 of their night markets. Although our kids were not a fan, we had to drop by at least 1 night market to get some Taiwanese food. The Luodong night market is not very big so it’s quite manageable. There’s mostly food here, some game stalls and some accessories stalls as well. We packed some food like braised meat rice (again), fried bee hoon, corn dogs for kids, spring onion pancake, beancurd and fruit juice back for dinner. The yummiest food we had here has got to be this ‘smelly fries’ (臭薯条). It’s actually fries made from smelly beancurd! It went so well with the Thai sweet and sour sauce that we turned back to attempt to get another pack. But by then there was already a queue. We couldn’t wait for the queue as the kids were in the car waiting and would start grumbling if we were still not done. So, never mind, till next time! Yum, I could still remember vividly the taste of the crispy beancurd fries dipped in the sweet and sour chili sauce! After this night, we would be checking out of the hotel to proceed to the next destination, Taichung. 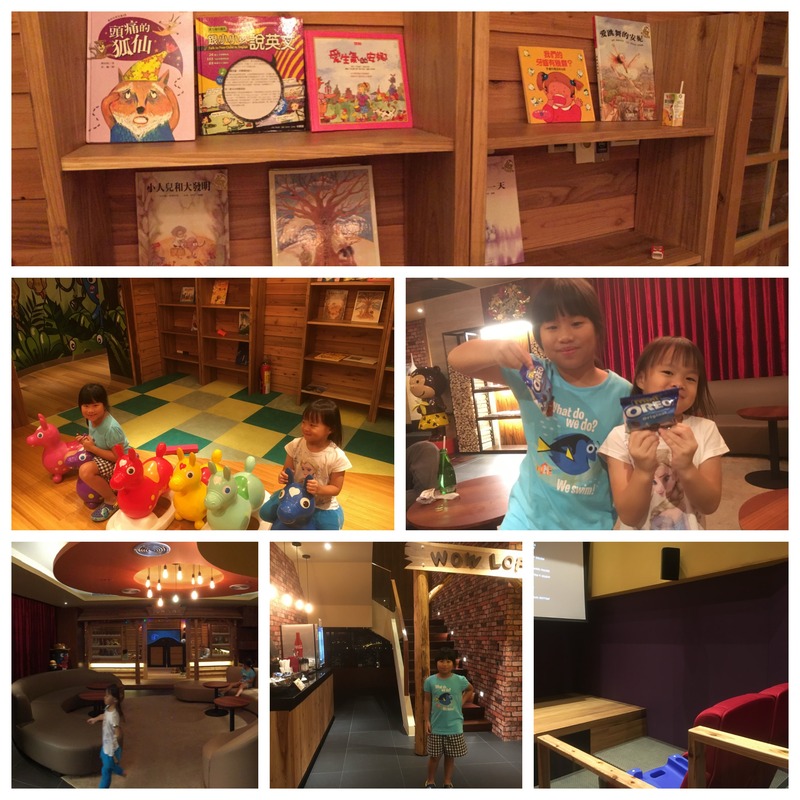 Kids were sad to leave, but they have no idea how much fun they would have further down the trip where we would spend another 3 nights in Deely House Tainan! Hi can you please share your driver contact, thank you. Hi, what’s the full name of the driver? Thank you! Hi can I just check when was it trip made and the cost of silks place hotel? Can’t find the cost fr their website. Thanks! And would u recommend taichung more or yilan more for young children 2 & 5yo? Only have time for 1 place. Thank you! Hi your trip looks really well planned. would you provide the contact for your yilan driver lai as well as the rates. Thank you.